What a good day to be from LA. Plus, the trailer to the “Straight Outta Compton” biopic about the West Coast hip hop group, NWA, was released today. I can’t wait to see the film! 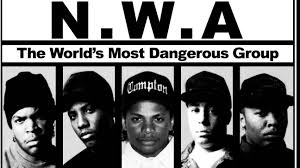 I don’t think NWA was dangerous; I think the group was misunderstood. They actually brought up a lot of social issues and wanted change in South Central LA. “Our art is a reflection of our reality.” Watch below. Next Sunday Dish: Kanye West, Bruno Mars, Floetry + MORE! I like how chill the beat is (well, chill for a L.A. native anyway), and I know it will sound great in the car. And damn, those lyrics.